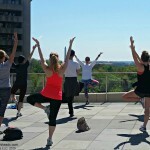 Yoga Hikes DC Take your yoga outdoors! Weekends are for Yoga Hikes! One more reason to LOVE the WEEKEND! Yoga Hikes are on Saturday and Sunday mornings typically at 9am or 10am. Times vary slightly throughout the month to offer students more options. 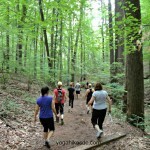 Nature Yoga Hikes are in #RockCreekPark and our popular Urban Yoga Hike in Rosslyn, VA will return in July. These are just a few of our photos from this season, which is already off to an amazing start! 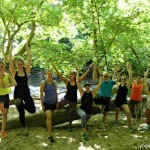 So if you love yoga and hiking, are eager to explore Rock Creek Park, and looking for a fun small group activity to do with friends, GIVE US A TRY! Sign up for your next Yoga Hike on our online schedule. Wish there were yoga hikes on weekdays or at additional times on the weekends? Let us know! You can reach us on Facebook, Twitter or email danielle@yogahikesdc.com Our fun and talented team of instructors are interested and ready! Tell us what days and times you would like to go on a Yoga Hike and we will add the most requested time to the schedule in July! We are excited to bring back Flow for a Cause program for the 2015 season. Flow for a Cause (#F4AC) recognizes, promotes, and supports some of our favorite nonprofit organizations that, like Yoga Hikes, promote a love of nature, the outdoors, and fitness. For the month of June we’ve brought back City Blossoms! City Blossoms began nine years ago in Columbia Heights and is a non-profit organization dedicated to kid-driven, community engaging, creative green spaces. To date, City Blossoms has worked with over 3000 children and youth in various gardening projects. It has designed a unique method of developing and managing robust green spaces where children and youth are engaged as the main cultivators. It specializes in an art-based, hands-on approach that emphasizes the strengths and unique qualities of each learning center. All City Blossoms projects are organic and designed to work with the local environment and community needs. Want to get engaged this month? There are two opportunities this week! Wednesday, June 10th is 5% Day at Whole Food for City Blossoms. Whole Foods on P St NW in Washington, DC will donate 5% of your purchase to City Blossoms. 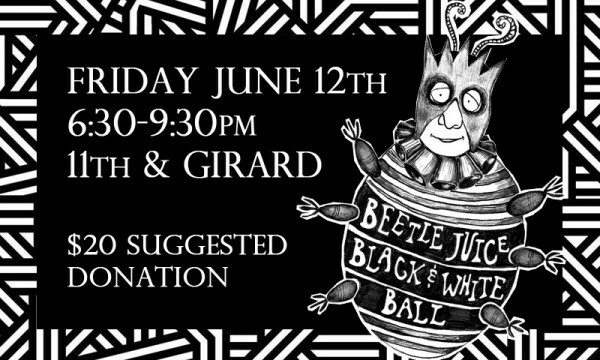 Friday, June 12th is City Blossoms’ Beetlejuice Black & White Ball! Their 6th annual Garden Fiesta, an important fundraiser that supports their year round programming. Dress in Black and White and enjoy an outdoor bbq style party with live music and entertainment courtesy of Dupont Brass and Nubian Spin Hula Hoopers! Yoga Hikes owner, Danielle M. Reyes, and instructor, Rachel Wimberley, will both be there enjoying the festivities! We look forward to seeing you on a Yoga Hike! Four Years of Yoga Hikes! Free Yoga Hikes, Rock Creek’s 125th Events, and more! 1 Yoga Hike, 5 Parks! 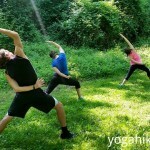 – Yoga Hikes DC Starts Saturday in Rosslyn! Take your Yoga Outdoors Before October 26th! © copyright Yoga Hikes LLC | (202)670-6120 | danielle@yogahikesdc.com | www.twitter.com/YogahHikes | www.facebook.com/YogaHikesDC | http://yogahikesdc.com .